I don’t think I have ever been so embarrassed about a book review. Seriously, I was one of the first people to read this book. I read it before a publisher looked at it. I cheered this book on and pre-ordered a copy. I was part of the original blog tour and the Thunderclap campaign. Why has it taken me so long to write a review? Yes, this is embarrassing, especially since it was such a good book. 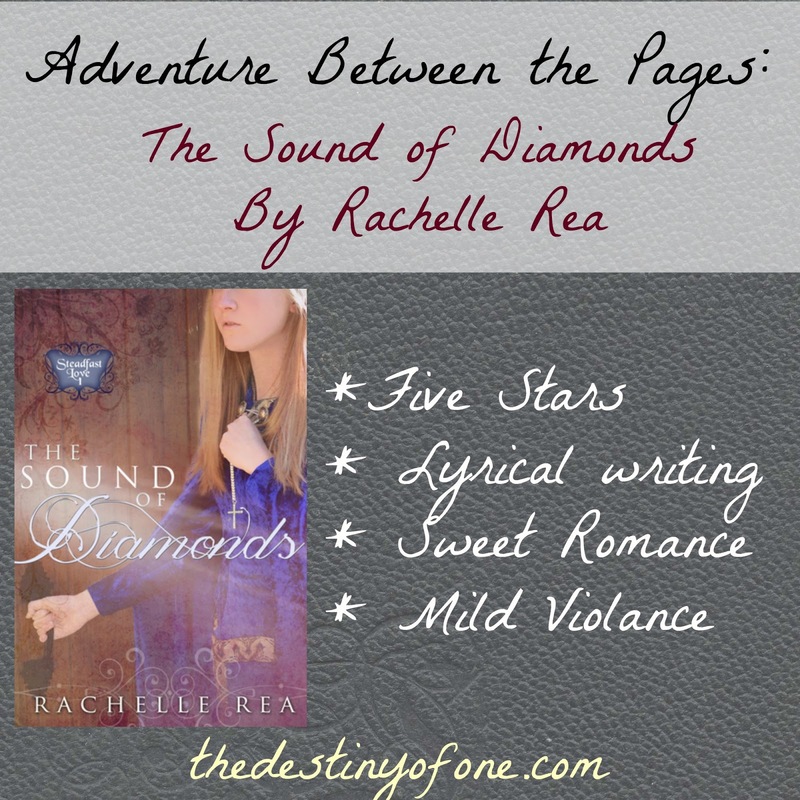 Rachelle Rea Cobb has had a voice like no other since I first met her all those years ago. It is engaging, poetic, and just plain special. She is one of those authors that you feel as if you could be handed a random paragraph they have written and know that it was them right away. I loved Gwyn in so many ways. Her wearing glasses and needing them to see well was such a realistic touch to the story. So often, the girls in books are physically perfect, and Gwyn having this defect was so awesome. Her emotions felt so real, and her struggle with whom to believe made my heart ache. Dirk was a bit annoying at first, but I loved him very quickly. His fierce protectiveness of Gwyn, even when she doesn’t see the need for it, was so sweet. He was a good match for Gwyn. As the book progresses and you learn more and more about him, it makes you love him more. The faith element was woven in expertly. It neither dominated the whole story nor took a back seat. Redemption in salvation and in life were themes that were a huge part of the story. Rachelle, you did a great job. The hardest thing for me about the story was the fact it had changed. I read a very early version so when I read the published version there were things missing and added. The ending felt quite different, but I expect that is because two books were added. Yet, I also had the privilege of seeing a great draft become an amazing published book. How awesome is that? I highly recommend this book for those who love romance, adventure, and historical fiction. Sarah! You're the best! I'm so glad to have you as a friend on this fun writing journey. Thank you for all your encouragement to me along the way. I honestly hadn't even noticed that you'd not reviewed Diamonds, since you definitely helped shape it from those infant early stages to the polished manuscript it is today. :) Thanks so much for your support! A beautiful review for a beautiful book! I too love how the faith elements were integrated into the story. Very impacting.